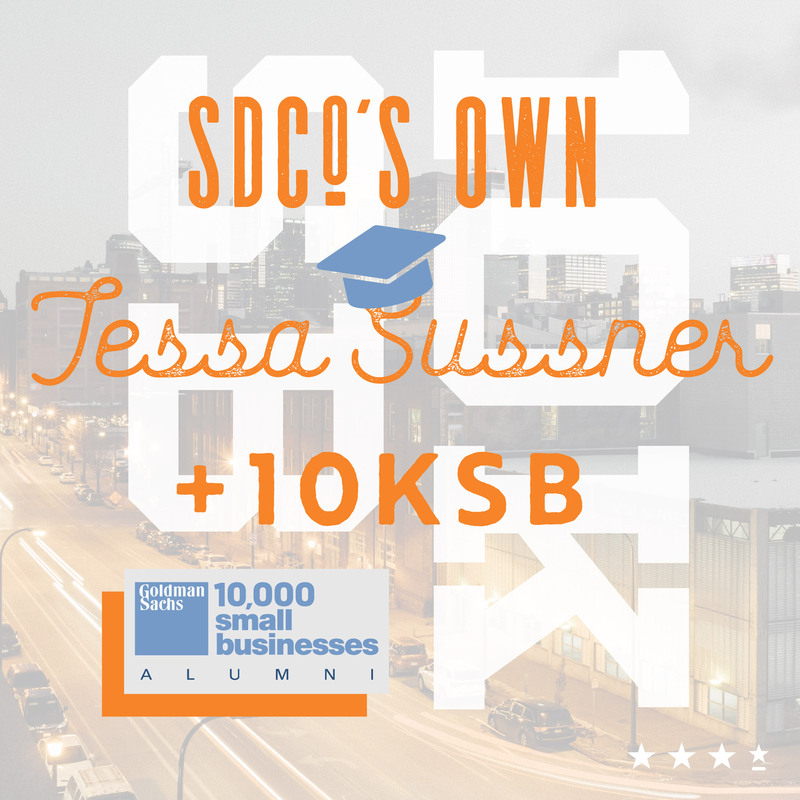 Takeaways From Goldman Sachs 10,000 Small Businesses - Sussner Design Co. In November 2018 I became a proud graduate of the Goldman Sachs 10,000 Small Businesses (10KSB) program and I am excited to share some key takeaways from this incredible program. 10KSB is one of Goldman Sachs’ philanthropic endeavors. It was created to give entrepreneurs access to education, business support services and capital. The program is 12 weeks of fairly intense education touching on ALL aspects of owning your own business. Everything from forecasting to learning how to be a better boss is covered. He was completely right. Entrepreneurs have a great idea and jump. They have to. When my husband/business partner is asked why he started our business, he always says, “I had an itch to scratch.” In The E-Myth Revisited, Michael Gerber refers to this as an entrepreneurial seizure. So my husband and I have been “winging” it for 20 years – with Graphic Design degrees, grit, wonderful advice and a great deal of talent from our amazing employees. We entrepreneurs spend so much time working IN the business. Making sure the product (in our case creative) is spot-on, keeping clients happy and looking for new business that we don’t spend enough time working ON the business. And set that all aside – let me say it again – we have Graphic Design Degrees. So “Resource Mapping? Feasibility Assessments?” What the heck are those? Now don’t get me wrong – we’ve been successful. We’ve won over 280 awards and helped 100’s of companies clarify their messaging and branding to better reach their audience and achieve their business goals. But wouldn’t it be more rewarding if we controlled our business more than our business controlling us? I was fortunate to have someone recommend that I apply to 10KSB. Through this incredible (FREE) program I learned everything there is to know about running a business – seriously – everything. Of course 12 weeks doesn’t give you enough time to do a deep dive into every aspect – but the material was presented so I could learn more on my own as I wanted to. How do you forecast your next 5 years of business in painstaking detail? I learned that. How to be a great boss and how to best manage employees with varying personalities? I learned that. How do I figure out how much I can sell my business for? I learned that! But my most important takeaway is this . . . there are many, many other entrepreneurs in the same position as me facing the same struggles, questions and frustrations. I was lucky enough to meet a lot of these great people through this program. We all sat in a room together asking what seemed to us to be really stupid questions. As it turns out they weren’t stupid at all. I learned that the most important thing in business is to surround yourself with colleagues. And when you do that – SHARE – bare your soul, discuss business ups and downs, show them your dirty laundry – because in return they will be more likely to bare their soul to you. So don’t feel alone, you can learn from your peers and more often than not, they will have a great idea for you that will improve your business. To all of you who own your own business, I whole-heartedly recommend you consider applying to the 10KSB program. You won’t regret it – I promise! If you want to hear more about the process or have questions, call me – I’d be happy to meet for coffee.